Racism is the form that national oppression takes within the oppressor country. It is a necessary consequence of imperialism. It is used both to justify the exploitation of oppressed nations and to divide the working class of the oppressor nation. Imperialist countries such as Britain used their colonies and ex-colonies as a source of cheap labour during the boom. With the onset of crisis, such workers were forced into the reserve army of labour. They were subject to racist laws, faced with racist police, tried in racist courts and sent to racist prisons. From the 1960s, a succession of racist immigration and asylum laws have been implemented to exclude people from oppressed nations. Today the terms on which British capital can access Labour from the Eastern European accession states means that it has little need for migrants from other oppressed nations. With the exception of people working in particular and often highly-skilled jobs, virtually all chances of gaining the right to stay in Britain have been closed down. It makes no difference whether there is a Labour or Tory government; Labour has always been as much a racist party as the Tories. Black people therefore suffer a double oppression: as workers and as members of an oppressed minority. Historically, this has meant that they have potentially played a crucial role in leading resistance to the British state – for example in 1981 and 1985. Although such movements were defeated, and their leaders bought off, black people still remain amongst the poorest sections of the working class, and played a leading role in further uprisings in 2001. 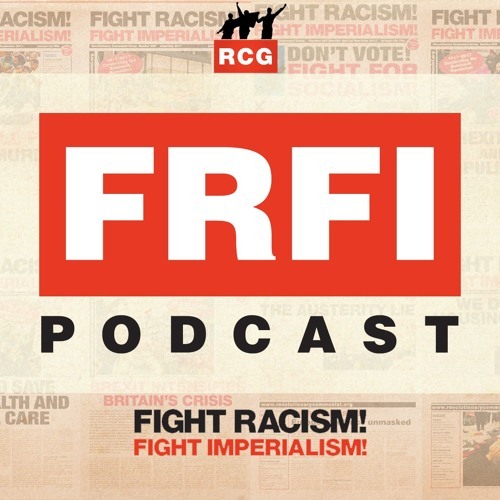 Many asylum seekers, who have fled countries torn apart by imperialist war and plunder only to face racist persecution in Britain, have an acute understanding of the nature of imperialism. Muslims in Britain, many of whom identify with the anti-imperialist movements in the Middle East and have played a significant and often militant role in the anti-war and Palestine solidarity movements, are facing increasing repression under the guise of ‘anti-terror’ laws and other measures intended to terrorise communities into passivity. Today, no new movement can be built without addressing the issue of racism. It is a vital component of the struggle against imperialism.